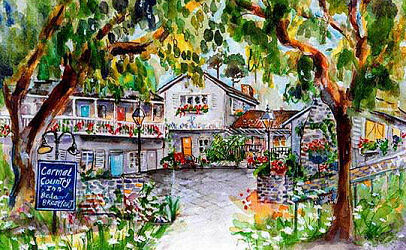 Carmel Country Inn of Carmel California. Spacious Suites, Cozy Studios all with fireplaces, down comforters, Gracious Hospitality where your Pets are always Welcome. Bountiful Breakfast served fireside daily. Surrounded by Colorful Gardens, walking distance to center of Carmel Village. This and other Carmel Bed and Breakfast Inns can be found here online in The Register.